Pamela Ronald says genetic modification is just as safe as the plant breeding humans have been doing for 10,000 years. A lecture hall with 700 UC Berkeley students enrolled in "Edible Education 101" heard Pamela Ronald, professor in the Department of Plant Pathology at UC Davis, explain her opinion that there is a place for genetically modified organisms in modern agriculture, reported Amanda Little in the New Yorker. The class' co-instructor, food writer and activist Michael Pollen, said he is still opposed to the use of GMOs in agriculture, but admitted it's getting lonely in his camp. He said he believes GMOs are tending to more firmly establish mono-cropping practices, favor large-scale industrial agriculture and that Roundup resistant crops are leading to the development of Roundup resistant weeds. "It's a shame to demonize an entire technology because of Roundup Ready,” Ronald said. Genetic engineering will play a critical role in protecting finite soil and water resources, staving off crop diseases, and responding to the pressures of climate change. The story describes a lone councilman's effort to get science-based information in face of vocal opposition to GMOs among advocacy groups. The lack of input from farmers and scientists on policy issues that affect food and farming has rankled many agircultural scientists, including Pamela Ronald, professor in the Department of Plant Pathology at UC Davis. She compared some advocacy groups' resolute objections to GMOs to people who don't believe the world climate is changing despite the scientific proof. “Just as many on the political right discount the broad scientific consensus that human activities contribute to global warming, many progressive advocacy groups disregard, reject or ignore the decades of scientific studies demonstrating the safety and wide-reaching benefits” of genetically engineered crops, Ronald said. Hawaii has a unique status in the GMO debate. It's the only American state where farmers grow genetically modified fruit. 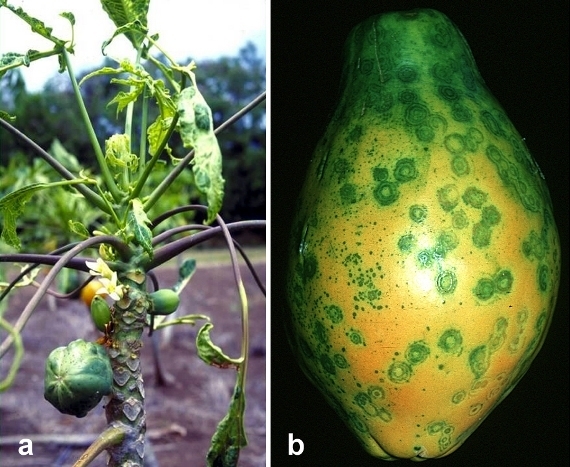 After an outbreak of papaya ringspot virus in the mid-1990s, scientists used biotechnology to insert a gene from the virus itself into the papaya that gave it immunity and saved the crop. The article outlines research showing that many of the claims made by GMO opponents do not stand up to scrutiny. Experts conceded that the research doesn't prove genetically engineered food could never cause harm, but the risks of such crops could be reliably tested, and they had so far proved safe. The GMO ban was approved by Hawaii's County Council by a 6 to 3 vote and on Dec. 5 signed by the Big Island's mayor. 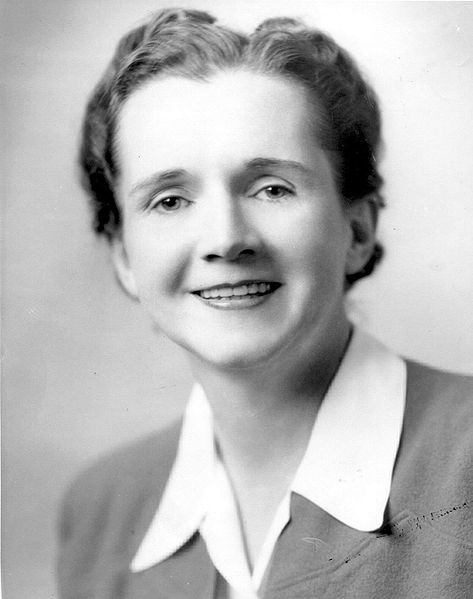 Would Rachel Carson embrace GMOs? Rachel Carson in her Fish and Wildlife Service employee photo. Rachel Carson, the author of "Silent Spring," a book credited for advancing the environmental movement in the U.S., would have supported the use of genetic engineering in agriculture, says Pamela Ronald, professor in the Department of Plant Pathology at UC Davis. Ronald considered the possibility in an op-ed article published in Forbes. Carson envisioned harnessing the knowledge of biological diversity — entomology, pathology, genetics, physiology, biochemistry and ecology — to shape a new science of biotic controls that would help control weeds, diseases and pests without further damaging the environment, Ronald wrote. 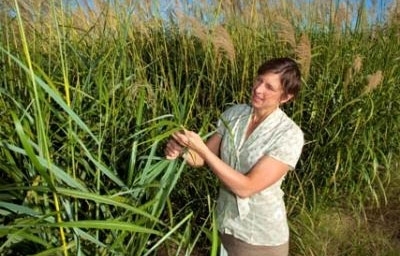 "Her dream of a science-based agricultural system may come as a surprise to those who believe that sustainability and technology are incompatible," the article says. In her UC Davis laboratory, Ronald has genetically engineered rice that tolerates flooding and resists disease. "I have to believe that, if Rachel Carson were alive today, she would reject the anti-science, fear-mongering of anti-GE campaigners," Ronald said. UC Davis plant pathologist Pamela Ronald appeared on the Dr. Oz television show, in which the medical personality promised to tell his audience what they need to know about GMOs. Ronald was one of three guests, and the only one to support the production and consumption of genetically modified food. "It was a tough go," Ronald wrote in a Tomorrow's Table blog post about her television appearance. "I did my best to refute the worst 'woo woo pseudoscience,' but it was difficult." She pointed out on the program that, after 14 years of GMO consumption - primarily in food ingredients made from canola, soy beans, sugar beets and corn - there has been not a single instance of harm to human health or the environment. However, Ronald's point was countered on the program by Jeffrey Smith, an anti-GMO activist, who said GE crops cause infertility, organ damage and endocrine disruption. Ronald said Smith's information doesn't have a scientific basis. "We need to make policy based on the best science," Ronald said. "I would go with scientific information rather than ideas that have been put forth by non scientists."